*DRAW CLOSED* Submit Your Feedback for a Chance to Win! We are reviewing our performance constantly to better serve our clients. 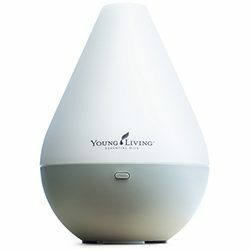 Submit your feedback below for a chance to win a Young Living Dewdrop Essential Oil Ultrasonic Diffuser (Retails for $89.20). Please read the draw’s Official Rules before entering. Draw closes May 31st, 2018. How have you benefited so far from your sessions? What do you enjoy most about your sessions? What do you enjoy least about your sessions? What areas could the trainer improve to make the sessions more effective for you? How many sessions have you had with your teacher? Are you planning to continue taking Pilates with your teacher? If not, why have you decided to discontinue sessions with this teacher? Any other comments or suggestions for your teacher? How would you rate the Cores & Effect Pilates Studio as a whole? Do you have and comments/suggestions for Cores & Effect Pilates? May we use your feedback on our website, social media, and promotional documents? Next Post What distinguishes one Pilates teacher training program from another?